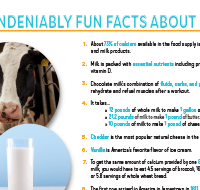 Are you looking for fun, educational materials to use in your classroom to educate students on dairy farming and the dairy farmers who produce the milk and dairy foods you enjoy every day? 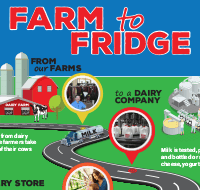 Bring the farm to your classroom to teach students about how dairy farmers get fresh milk to your schools and refrigerators. Ohio is the number one producer of Swiss cheese in our country. Before milk ever gets to your kitchen table, it goes through multiple tests to make sure it is okay to drink. 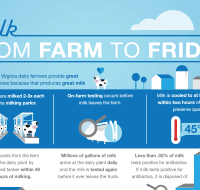 Ohio and West Virginia dairy farmers care for their cows every day of the year — even on holidays. Dairy cows spend about seven hours a day eating — as long as a school day. From the cow to you, milk is never touched by human hands. 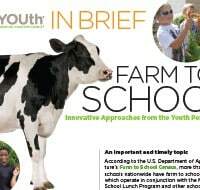 Milk arrives at your school within 72 hours of leaving your local dairy farm.